Got some tin cans at home? Don't throw them! Make something useful instead. There are so many things that we can create using items that are suppose to belong to the trash can but because of man’s creativity and innovation, these items are being reused, up cycled and recycled in order to use them again instead of adding them to a pile of rubbish. 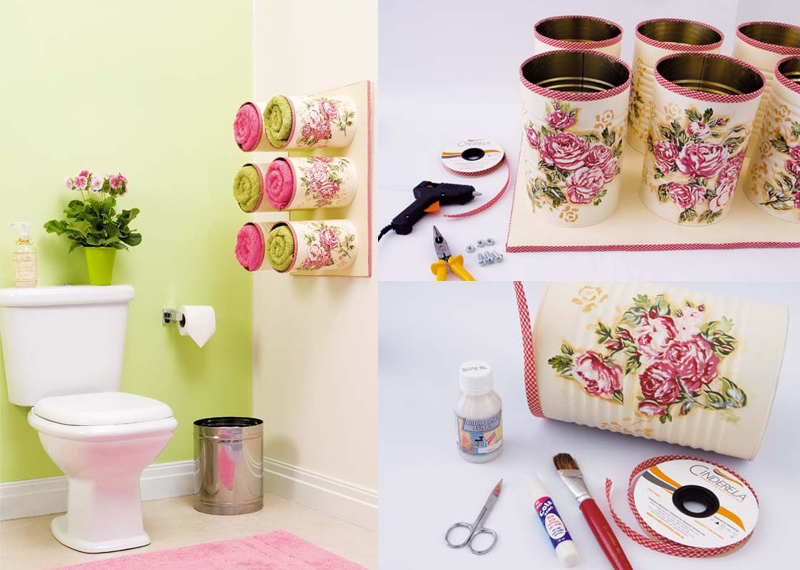 That is why, many items could be made into other useful stuff like creating storage from cans and jars or reusing broken utensils into home decors. We have featured lists like this and today, we are going to give you another list of DIY ideas that will help you free your home from clutter and trash. If you have many tin cans at home which we are actually expecting since most of us use food items that are stored in tin cans, do not throw the cans away. One reason why you wouldn’t throw it is that it won’t decompose. Or if it will, it will take years. So why not use it in a new way instead? 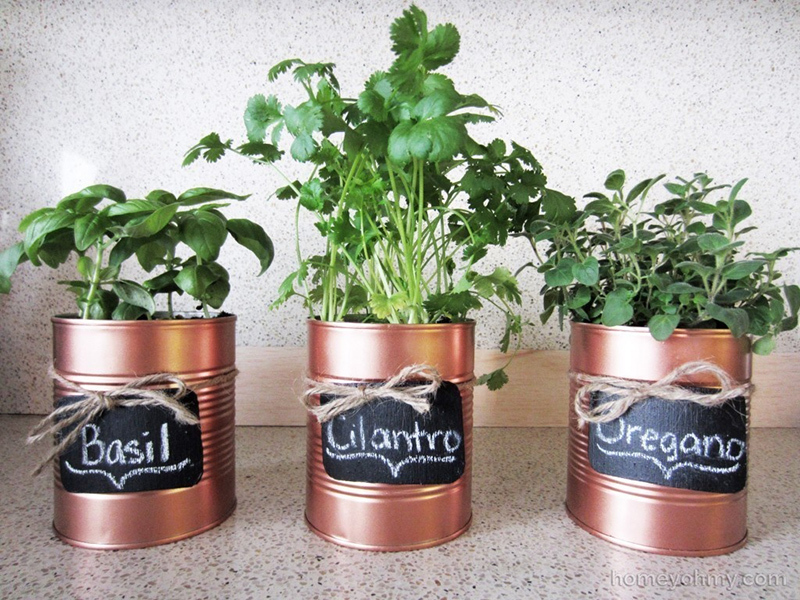 Today, we are going to give you 20 ideas on what you can do with your tin cans. Take a look at the list we have below. These are so cute! And this is one thing in the list that I’d love to try. 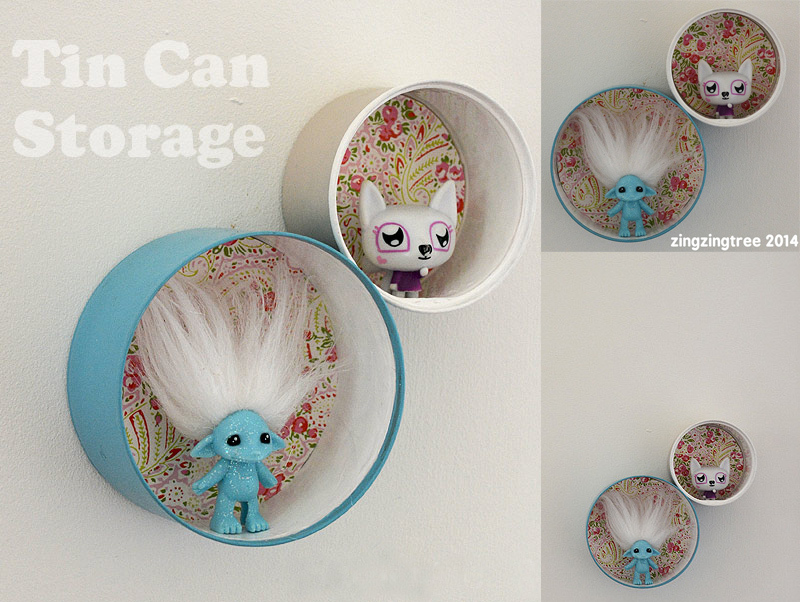 Such a smart way to store stuff by using tin cans. A charming way to display small wildflowers is to connect three cans in this manner. Looking great, right? 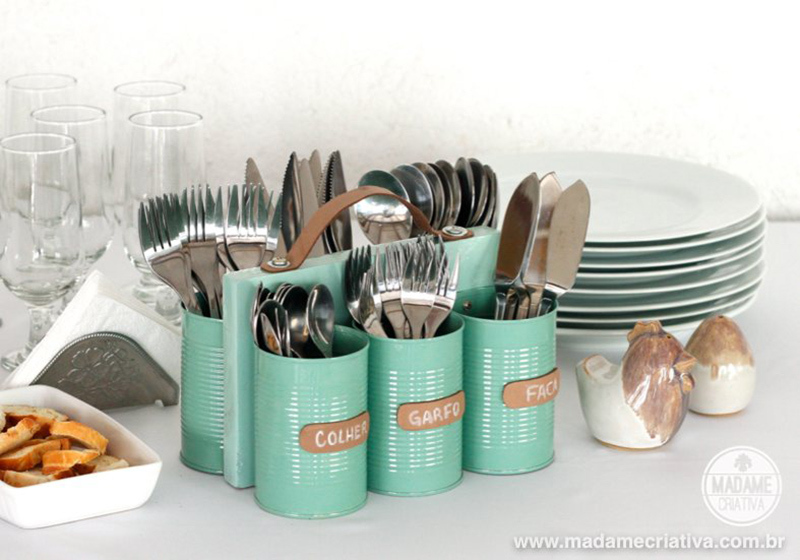 Organize your cutlery using cans. Well, merely by looking at this one will give you the idea of how this is done. This is a nice way to store wines. You don’t have to spend a lot. 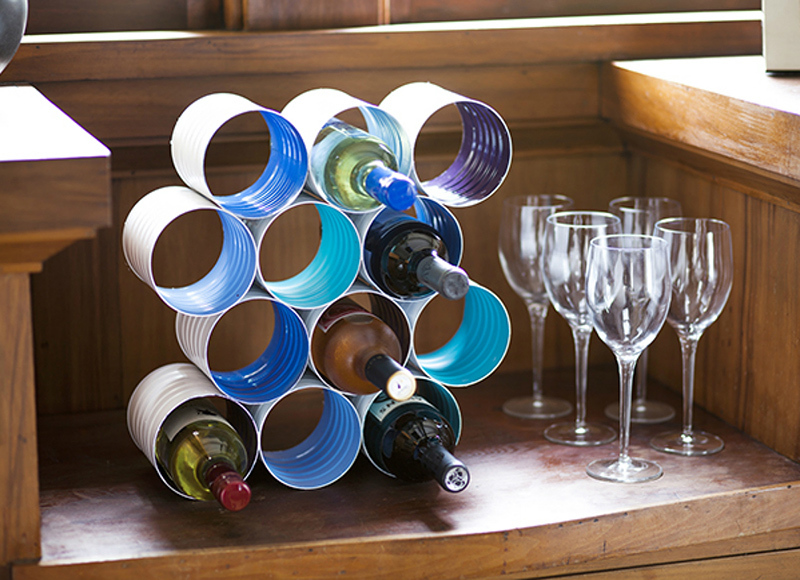 All you have to do it stick those cans together and paint them to get a wine storage like this. 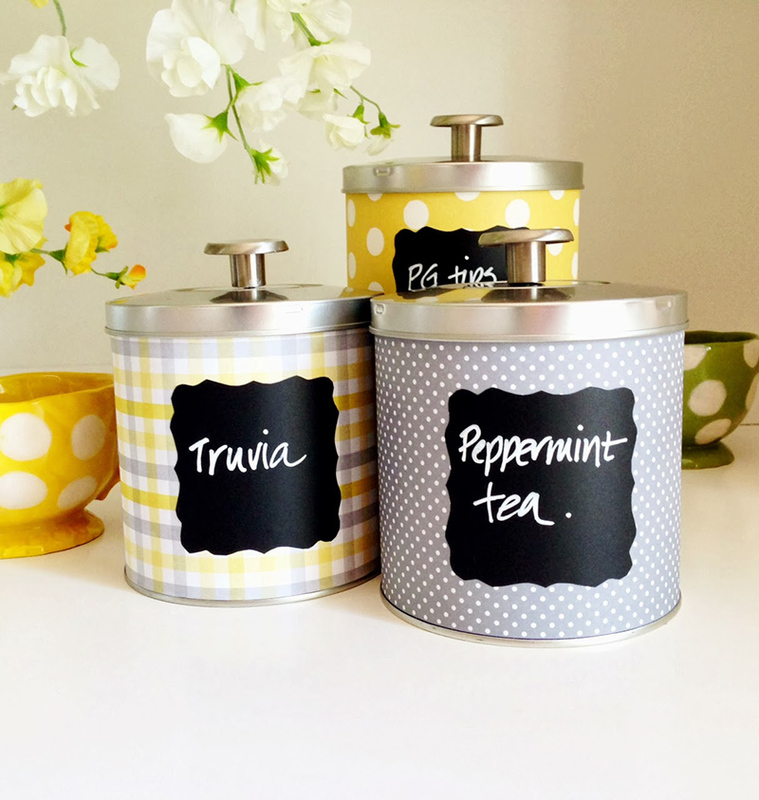 Painting your tin cans with copper or other colors would be nice but it will look a lot prettier if you add chalkboard tags on it. Isn’t this a sweet bathroom? It sure is! Who wouldn’t love the floral details on the cans? They all look pretty and it added appeal to the bathroom. This sure is worth a try! Got yarns that are just scattered in places? Why not try this idea by putting together coffee cans to create wall cubbies? It would be very nice to store yarns this since you will not have a hard time in looking for them. This one is really cute! I love how the covers were added and of course the scrapbooking papers used here are certainly lovely. 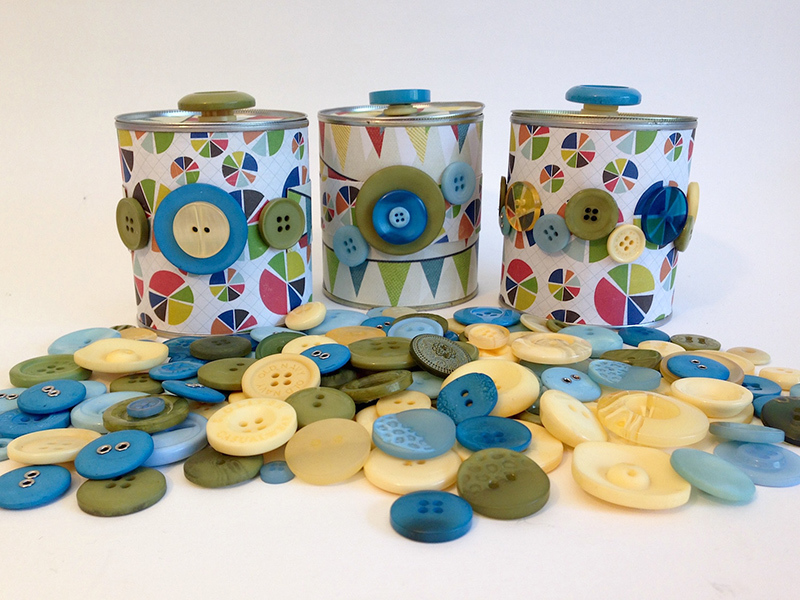 If you like to play with buttons, then you can try this tin can storage that is decorated with buttons. It looks really cute! This is one of my favorites because admit it, it does look really cute! I love the idea that forks were used as the handles. 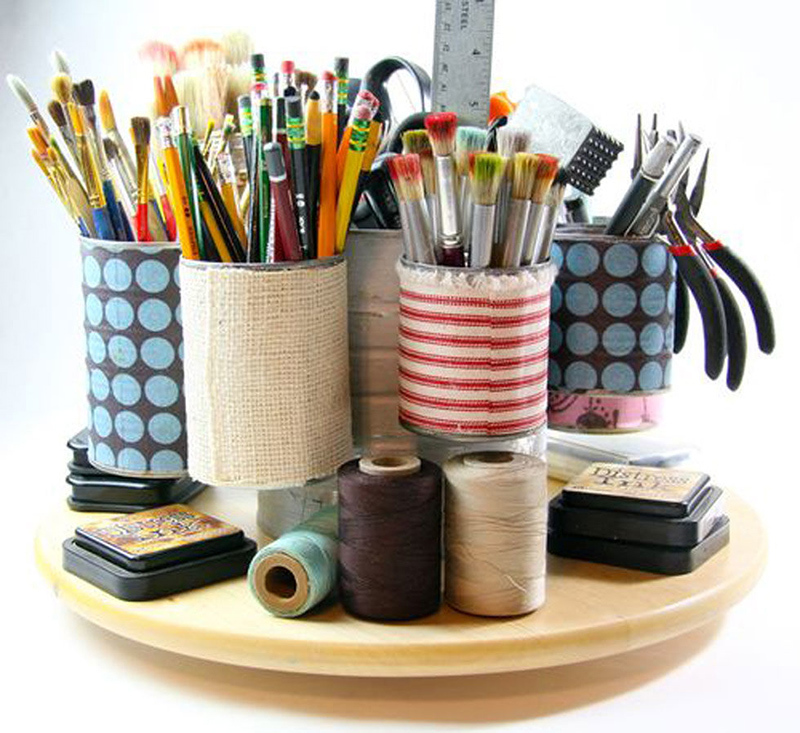 Need a storage space for your art materials or craft materials? 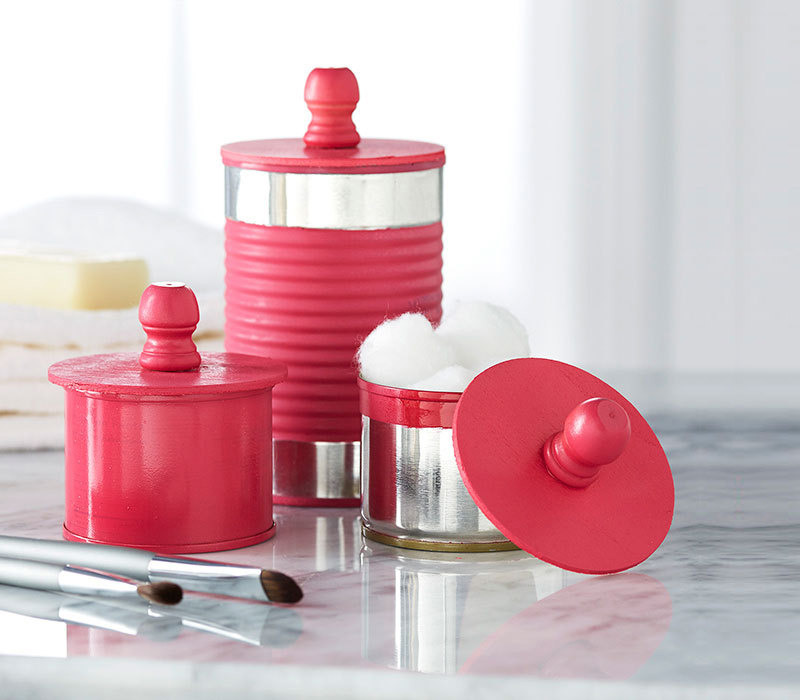 Make this caddy recycled tin can and you will surely be able to put all your stuff together. Well, it doesn’t have to be blue. Of course, you can try other colors too. 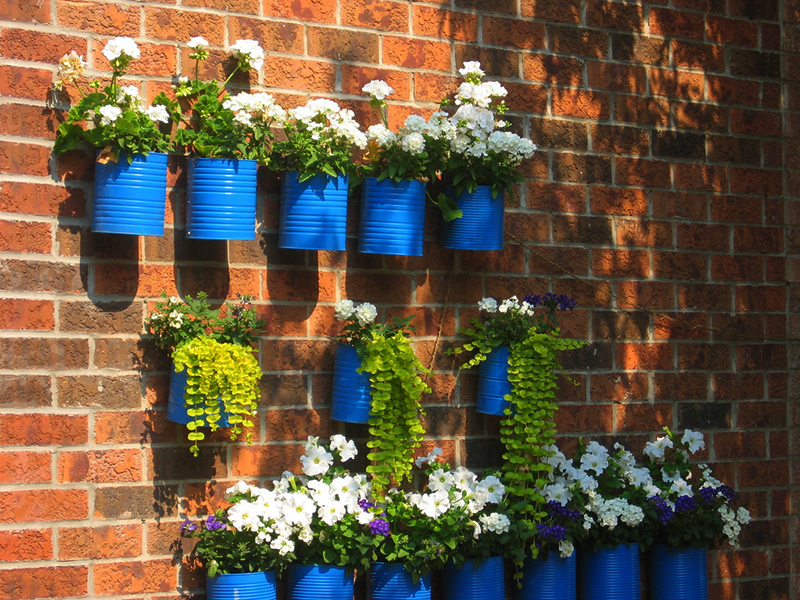 You can even mix colorful cans together and use it as a wall container for your plants. 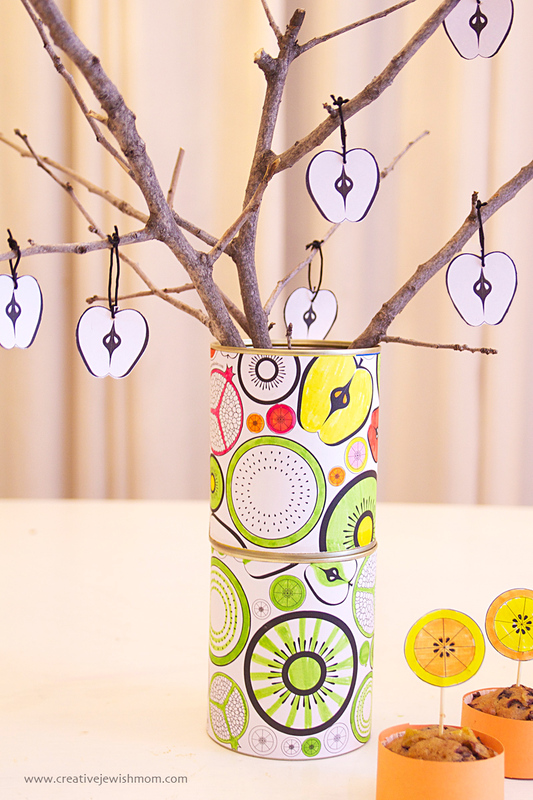 This fruity tin can decoration is created to celebrate Tu B’Shevat, which is the Jewish New Year for the trees. 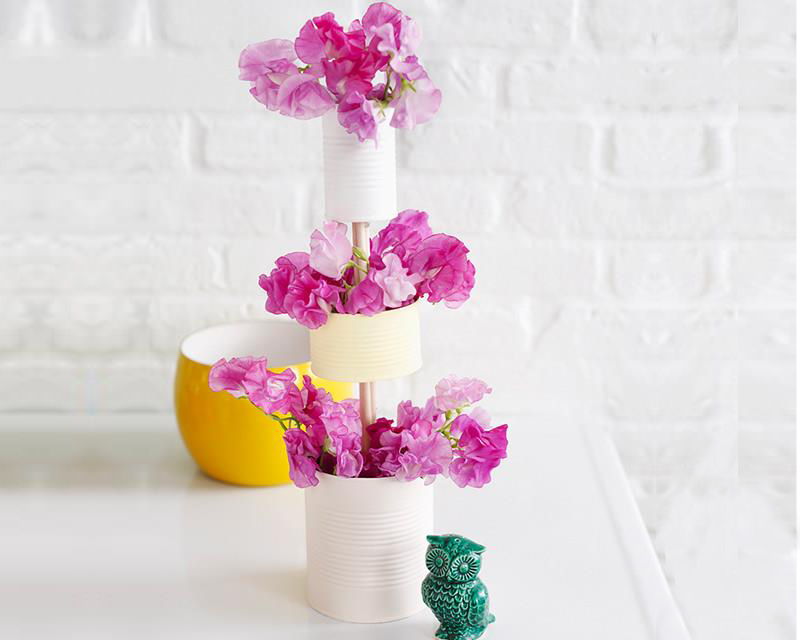 With that, the creator made a simple recycled can vase that is filled with bare branches. You can also see that little apple slice ornaments are hanging on it. 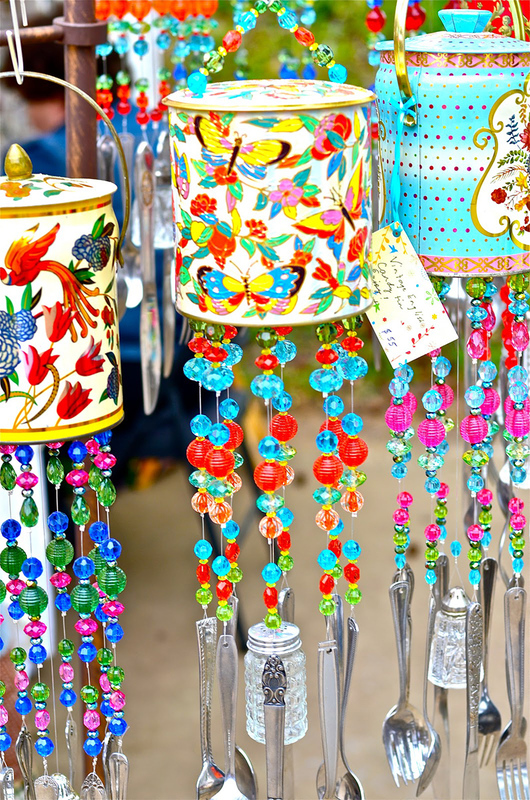 Did you know that you can actually make wind chimes from cans, beads, and silver-utensils? Yes you can! Just take a look at this lovely piece! If you want a succulent planter that is beautiful, then you can try this one. It is easy. 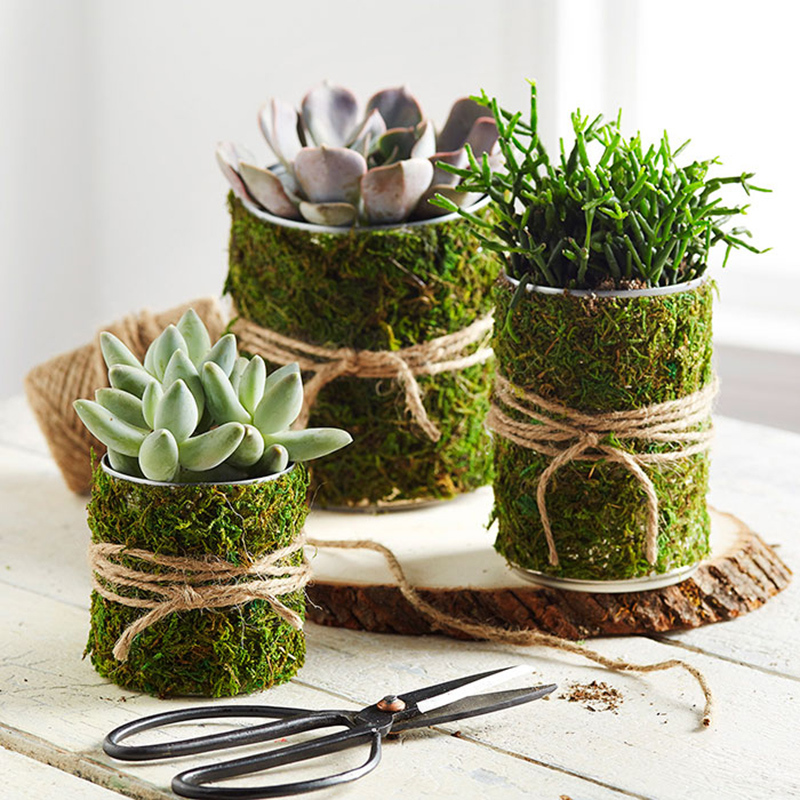 Just wrap a tin can with some moss and you’ll get a lovely succulent planter that you can display anywhere in the house! This is very cute indeed! 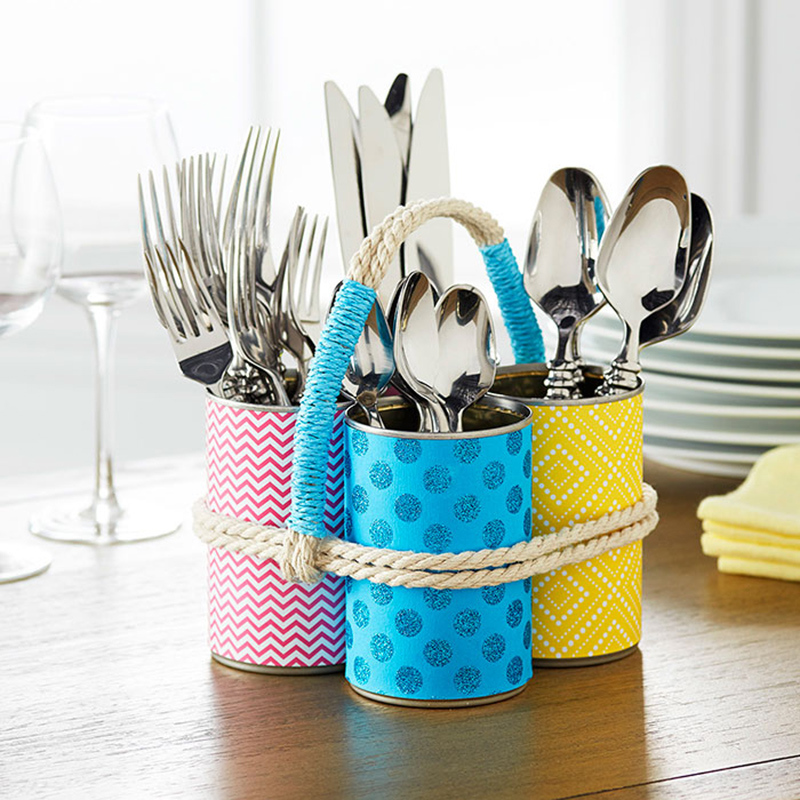 I like the combination of tin cans and ropes for this silverware organizer. It is also nice that the cans are wrapped in different patterns. Super cute! 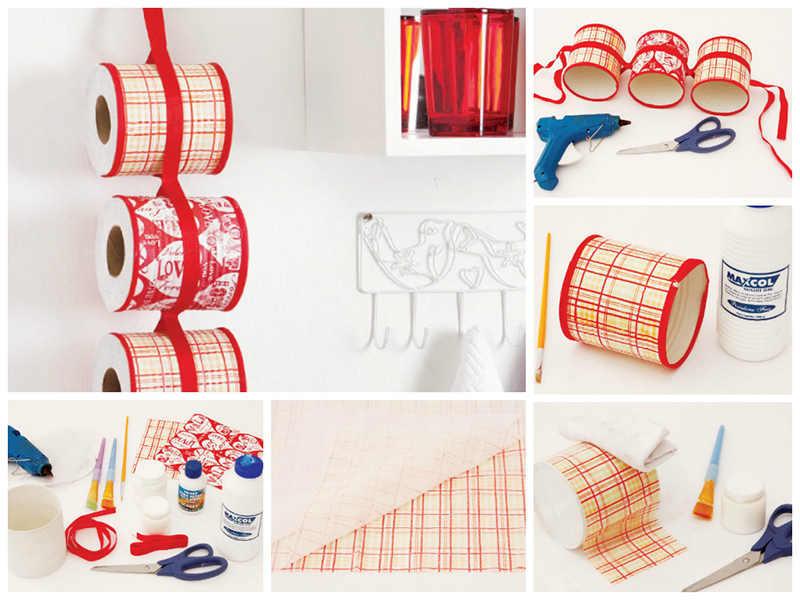 If you are looking for a nice way to store tissue paper roll in the bathroom, this one will work well. And you can even choose your designs. 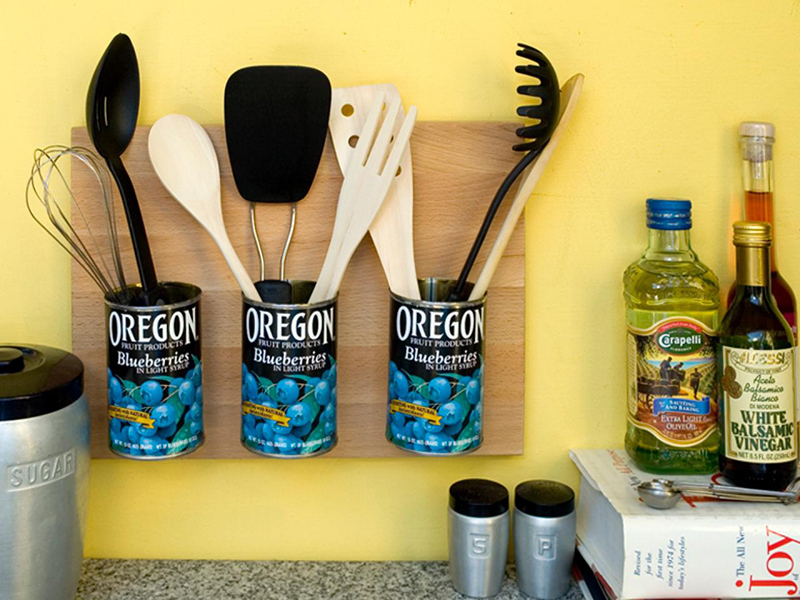 You can also store your cooking utensils in this manner by attaching the cans on a wood. Neat, right? And it is very easy to make. Well, those are cute displays indeed but what is even cuter are the round tin cans that were turned into shelves. I always wanted to try this! 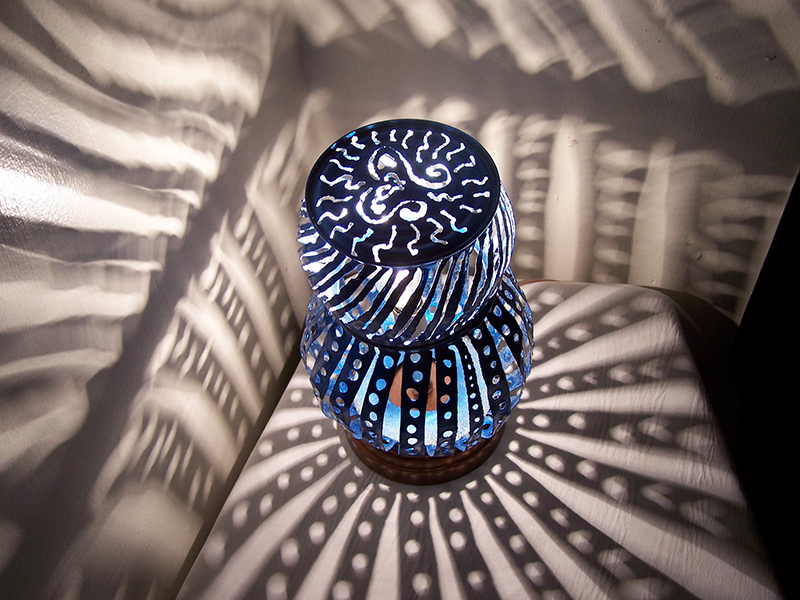 Lamps from recycled food grade cans and discarded lamp parts are made by Boston Sculptor, Eric Harty. The cans are joined with a brazing technique. The designs are cut using an acetylene torch which casts a stunning light pattern on the walls. Inspired? 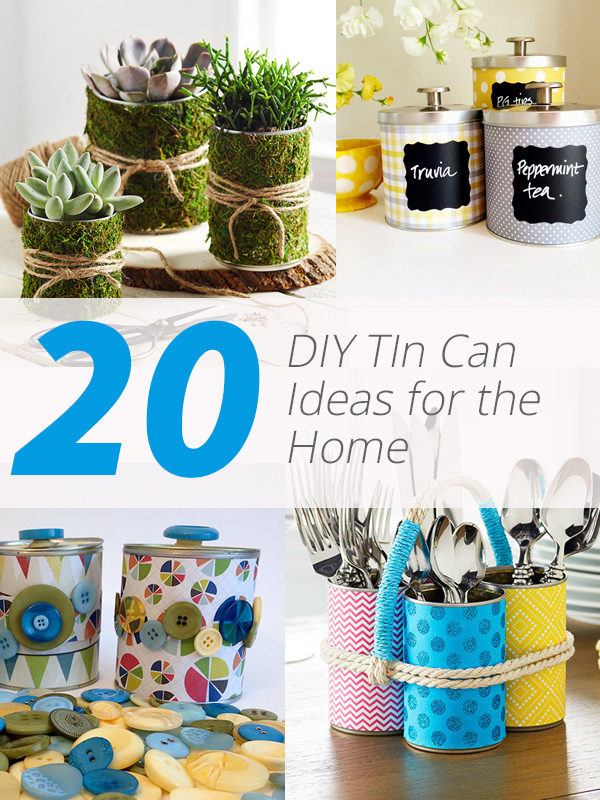 This list sure is inspiring and you will certainly keep your tin cans instead of throwing them away because you can use them in so many ways. 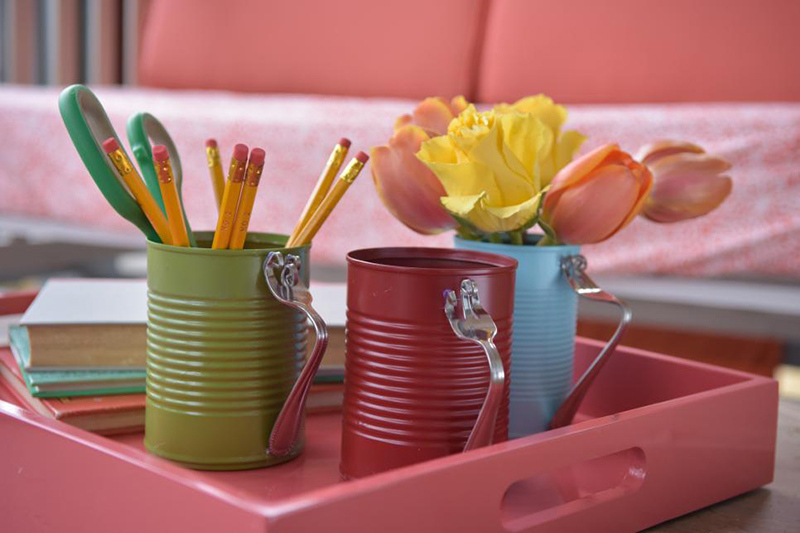 You can organize your stuff using them and you can also save nature by up cycling tin cans. It would be very rewarding to turn trash into something useful, right? Also, can you tell me which of the items above would you love to try? They don’t look too hard actually and I am sure you’ll be able to create one.